Intel delivers industry-leading innovations and creates new experiences across its portfolio products. 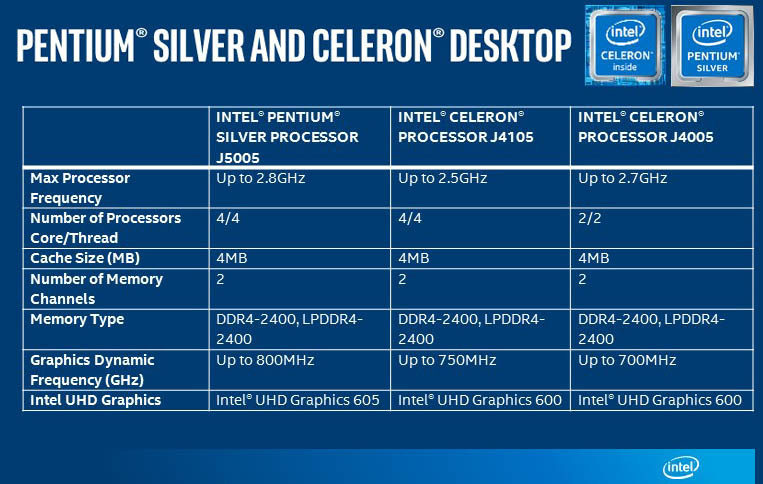 Today, Intel unveils the all-new Intel Pentium® Silver and Intel Celeron® processors. 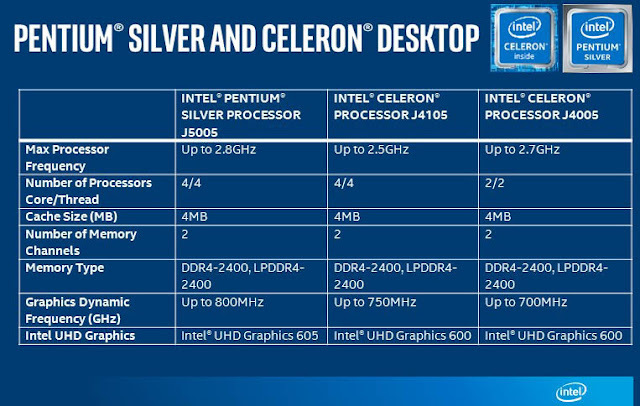 The new Intel Pentium Silver and Intel Celeron processors are based on Intel’s architecture codenamed Gemini Lake, and are engineered for a great balance of performance and connectivity for the things people do every day – working on office documents and spreadsheets, browsing online, enjoying favorite shows and movies, and editing photos – with great battery life. And it can all be performed on a range of devices at an amazing value. Pentium Silver will deliver 58 percent faster1,7 productivity performance compared with a similar 4-year-old PC.